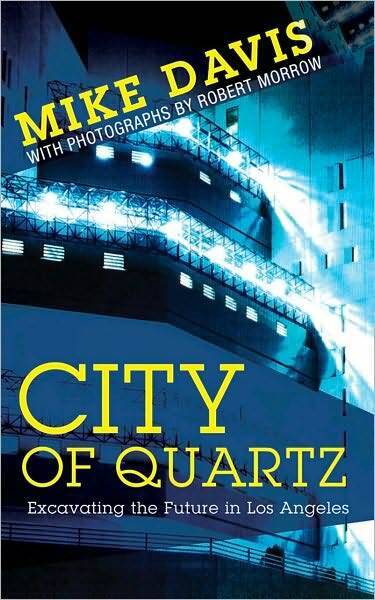 It was good to notice that Mike Davis’s classic book has just been written up by Los Angeles Times architecture critic Christopher Hawthorne as part of his “Reading LA” series. 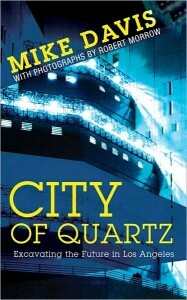 In fact Hawthorne identifies Quartz as one of the three most important treatments of Los Angeles urbanism ever written. Davis’s book has long been required reading in my Culture and The City course, where it anchors the unit on The Fortress City. There’s little to disagree with in Hawthorne’s assessment of the pros and cons of Davis’s book. He describes it as a necessary reality check that usefully counters a century of “mindless” LA boosterism. On the other hand, he notes (as many others have) that the book requires some fact-checking. That’s why I always pair it with Veronique de Turenne’s important critique. I also agree with Hawthorne that it would be really interesting to get Davis’s take on what’s happening in Los Angeles today given the city’s efforts to renew and better thread together its public and shared spaces. Is the post-suburban LA built environment still complicit in an “urban cold war” on the poor, the ethnically different, and the disempowered? Of course, some of these tactics are not so little. I also alert students to the fact that they are not necessarily sprung from conspiracies among developers, politicians, and the police. 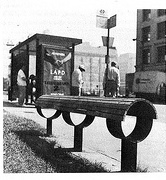 They can simply be borne of accumulated, culturally inculcated “urban ways of doing.” What’s certain is that Davis provides a specific set of physical elements that students can look for as they experience cities at home and abroad in their efforts to evaluate urban health and livability. In practice students do discover versions of these tactics existing in different mixes in different urban fabrics. In so doing Davis’s work immeasurably enriches their understanding and appreciation of urban form and its cultural effects.